Home App Discover Anyone iOS Social Networking WhoChat? Social networking has become the pinnacle in this modern day and age and people of all ages or profession connect with the outside world now through their phones. The busy world and the technological advancements mean that we can still communicate using different social networking apps, which let us stay connected with people whom we would otherwise just forget altogether. Well here to help you get familiar with social networking app we have compiled this review for an app, WhoChat? - Discover Anyone. What is WhoChat? - Discover Anyone? WhoChat? - Discover Anyone app brings you a solely different kind of social networking experience by helping to find about the people around you by using their pictures. By using this ever-growing platform, you can upload pictures of celebrities you want to know about or people living in your area. For the first time, you will use this app you will have made your profile and then you were done. 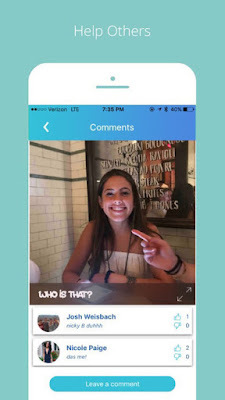 Now when you are in need of getting information about certain person upload their picture within the app and people on this app will comment with the information they know about that person. So what else do you need? Have it today free for devices with iOS OS. Direct download link is present at the end of this review article.